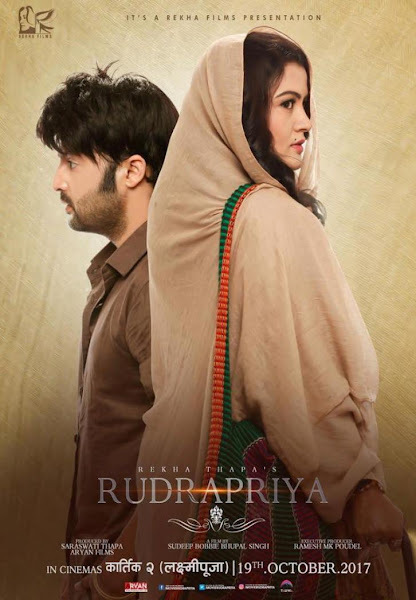 Rudra Priya is Nepali movie by the legend actor and actress Aryan Sigdel and Rekha Thapa. After a long time span both of them are seen together. The movie is directed by Sudeep Bhupal Singh and produced by Ramesh MK Poudel as an executive producer. Rudrapriya (रुद्रप्रिया) is Nepali movie by the legend actor and actress Aryan Sigdel and Rekha Thapa. After a long time span both of them are seen together. The movie is directed by Sudeep Bhupal Singh and produced by Ramesh MK Poudel as an executive producer. 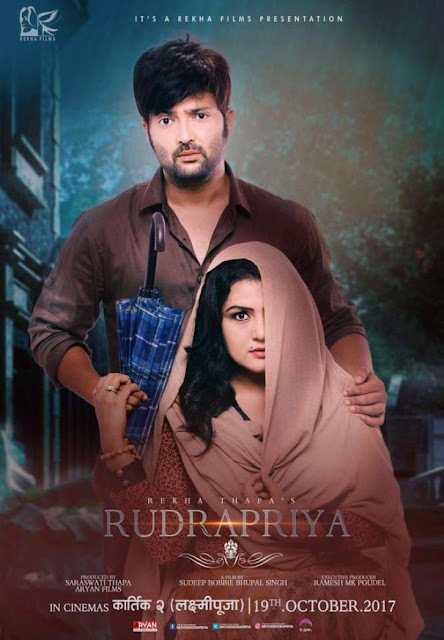 Rudrapriya movie is made under the banner of Rekha Films. The movie stars Rekha Thapa, Aryan Sigdel, Rajan Ishan in the lead roles. 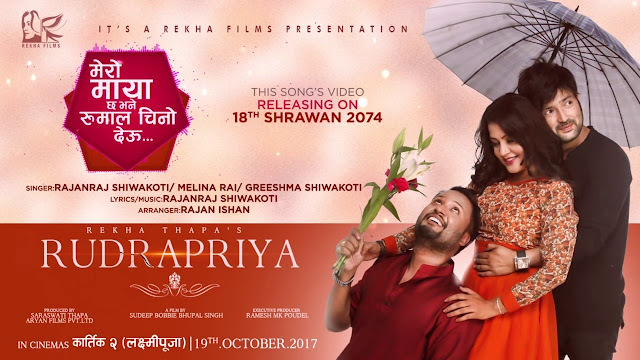 Rudrapriya is shot by the cinematographer Sanjay Lama, music composed by Suresh Adhikari, Arjun Pokharel and Rajan Ishan. In “Rudrapriya”, Rekha Thapa and Aryan Sigdel have patched up and have worked together. There is a good chance that the comeback of the hit couple would be successful. Which is scheduled for releasing during festival season “Laxmi Pooja”. 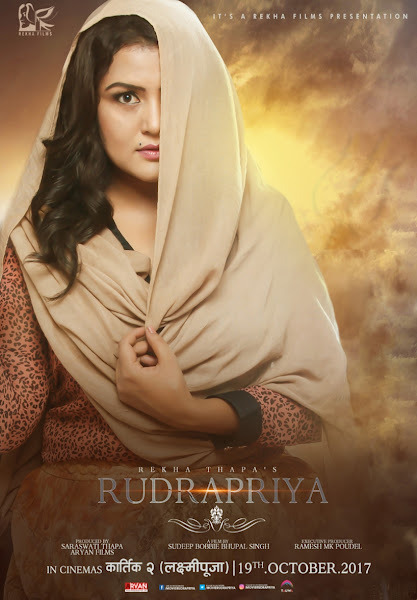 Rudrapriya is female-oriented Nepali movie. It features love, romance, and action. Before the trailer, a song of the movie “Chirbir Chirbir Chachari” was released. The song featuring the voice of the music of Rajan Ishan was like by the viewers. In all the posters of the movie, half portion of actress Rekha Thapa is hidden by her Saree. In one of the posters, Rekha Thapa is holding the hand of Aryan Sigdel.